Are you looking for new gear for your weekend ride or are you riding in one of our events to give kids with disabilities their very first bike? 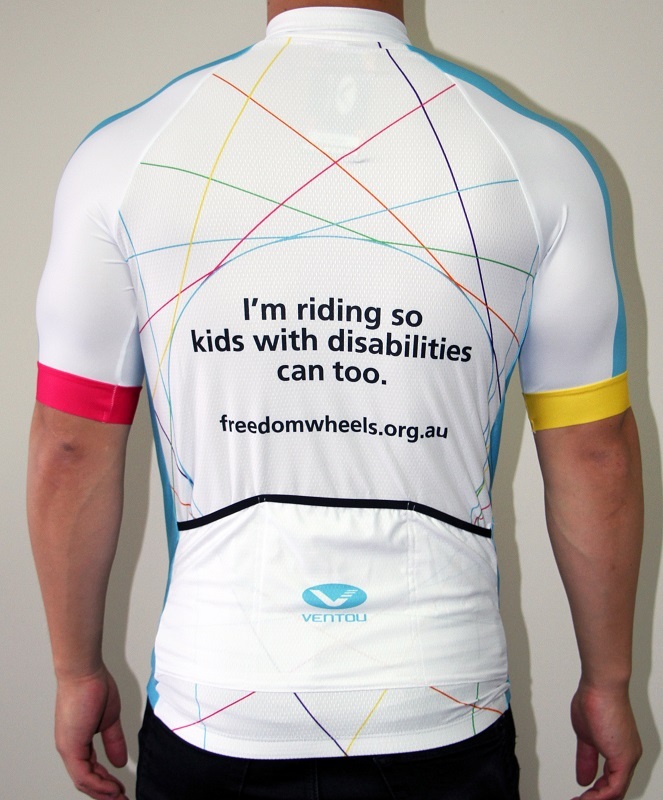 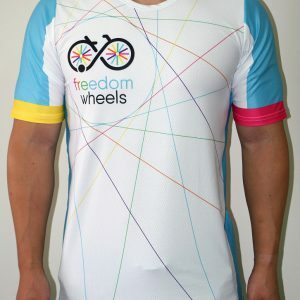 Show off your support for Freedom Wheels kids! 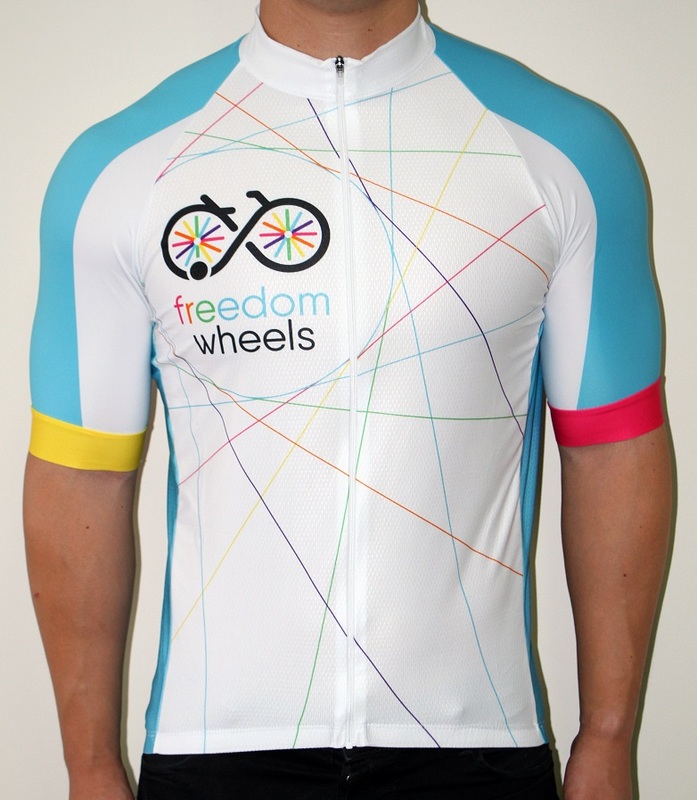 This Freedom Wheels cycling jersey is perfect for everyday training or racing. 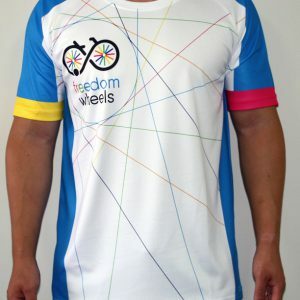 Available in XS, M, L, XXL and 3XL.